Best Buddies International is excited to announce that its upcoming 18th Annual Best Buddies Challenge: Hyannis Port has sold out in record time, thanks in part to the support of Best Buddies Global Ambassador Tom Brady. Brady’s nearly 15-year partnership has helped raise a cumulative $46.5 million for the organization! This is an incredible milestone in Best Buddies’ 28-year history. Best Buddies International is a global nonprofit founded in 1989 by Anthony K. Shriver to establish a global volunteer movement that creates opportunities for one-to-one friendships, integrated employment and leadership development for people with intellectual and developmental disabilities (IDD). The Best Buddies Challenge: Hyannis Port is a spectacular series of events taking place over two days from Boston to Cape Cod and includes a Tom Brady Football Challenge, and a charity walk, run, and bike ride benefitting individuals with IDD. For the past decade, Best Buddies Global Ambassador Tom Brady has served as the event’s Honorary Co-Chair. This year, the Hyannis Port Challenge is expected to raise $5.5 million to support the organization’s global programs in 54 countries spanning six continents. Tom first got involved with Best Buddies as a volunteer back in 2003. Since that time, he has served as one of the organization’s most dedicated supporters and advocates. Tom’s support not only helps the organization financially, but also in terms of building Best Buddies’ brand awareness and promoting the organization’s mission-based initiatives that create friendships, jobs and leadership development training for people with IDD. 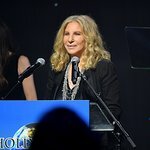 In total, Best Buddies has raised $46.5 million and served 11.8 million people with and without IDD, in part because of its 15-year partnership with Tom. Inspired by his charitable work with Best Buddies and the impact nonprofits have on society, Tom created his own organization called Change The World Foundation. Having served as one of the organization’s most engaged and devoted Global Ambassadors for nearly a decade, Best Buddies supported Tom’s diverse array of charitable interests, just as he has supported Best Buddies. Throughout the span of this partnership, Best Buddies has donated $2.75 million to the Change the World Foundation, a registered 501c3. In addition to Tom Brady’s work in the commonwealth of Massachusetts, he serves as a Best Buddies Global Ambassador and travels for the organization, hosting and attending national events such as “An Evening with Tom Brady” Houston Gala, which raised $832,952. Additionally, Tom has committed to attending the Masters Golf Tournament on behalf of Best Buddies in 2018, which is expected to raise hundreds of thousands of dollars for our mission and global programs. 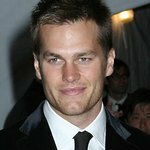 Tom also connects Best Buddies directly with his sponsors and supporters such as Under Armour and UGG, host guests at football games, provides memorabilia, writes letters, makes phone calls and helps Best Buddies with its development efforts. This dynamic partnership has been of immeasurable value for Best Buddies and has allowed the organization to create much-needed jobs and life-changing friendships for people with IDD all over the world, which has always been the goal. Best Buddies is grateful for Tom Brady’s unending support and proudly look forward to continuing the work to create a more inclusive world for individuals with intellectual and developmental disabilities.